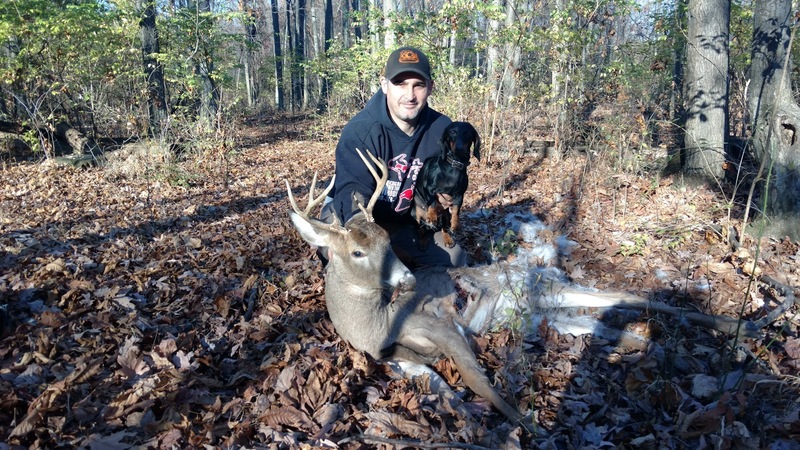 We go to great lengths to assure our dogs are prepared for even tough challenges. 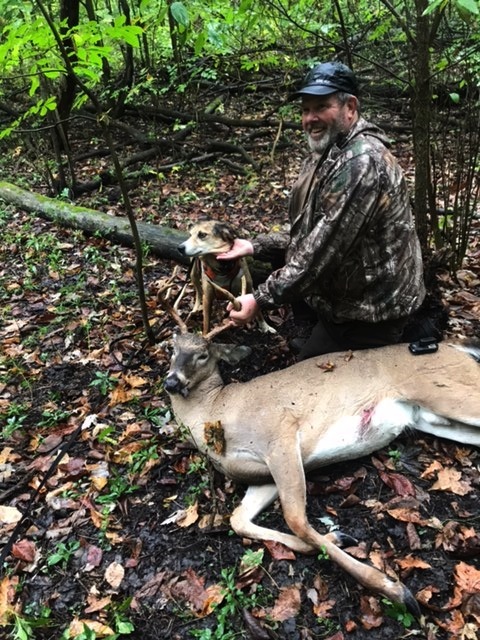 Rivers, woods, swamps, fields, we go where our dogs take us! 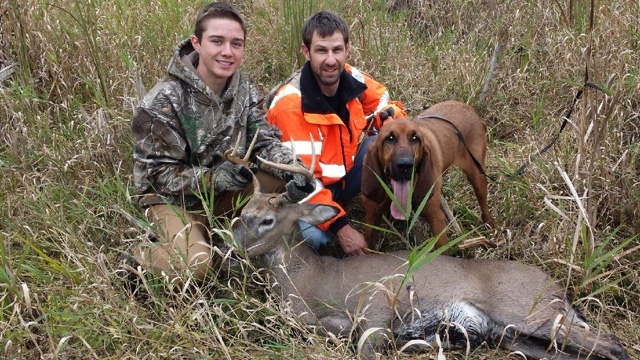 Youth season is one of our favorite times to track. 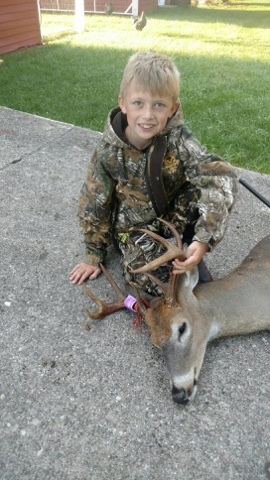 There is nothing like seeing a child fall in love with hunting!! 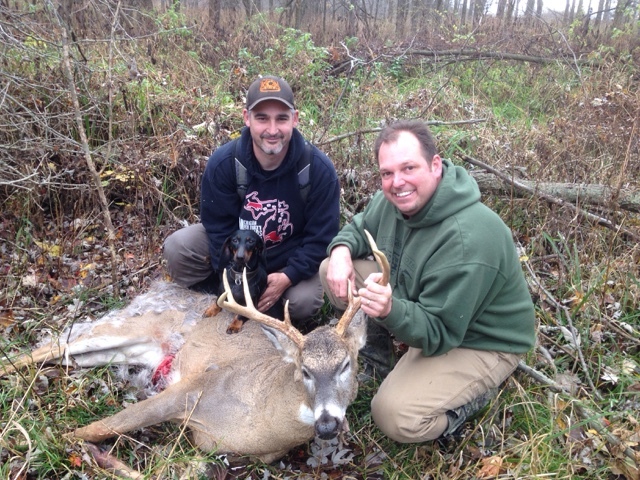 Metamora, MI deer tracking, after hours of rain. 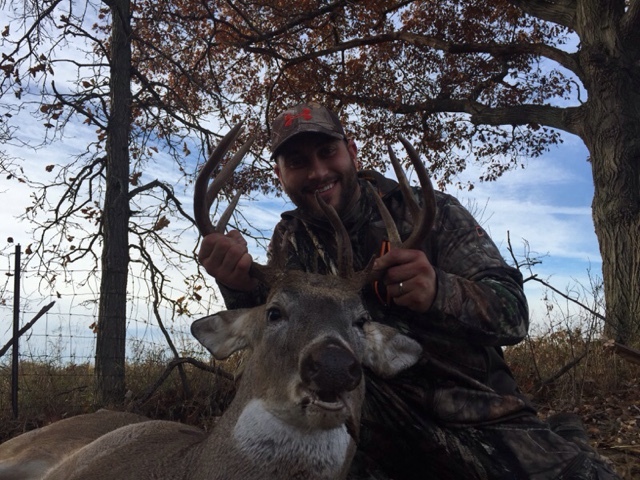 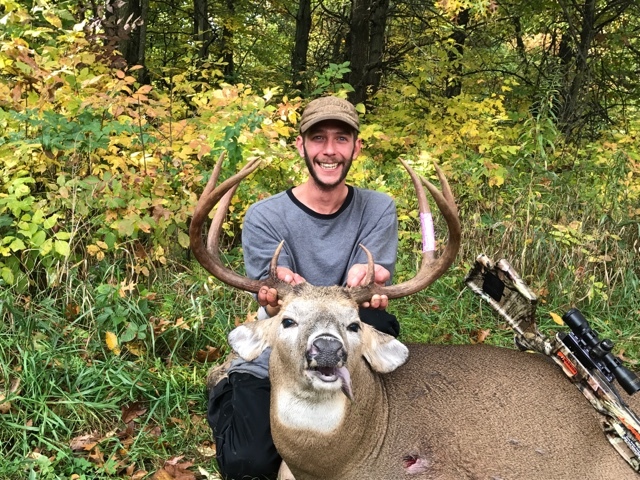 What a stud of a buck!! 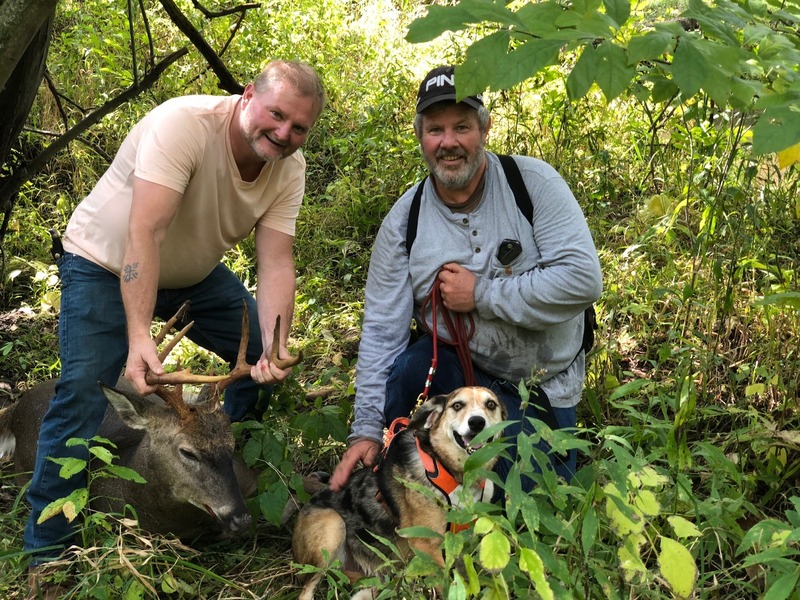 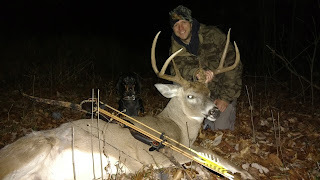 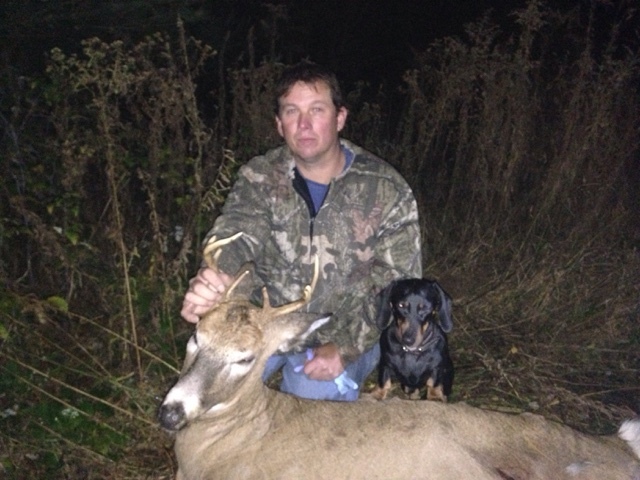 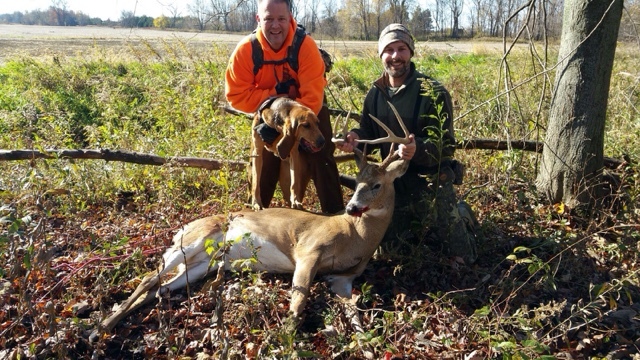 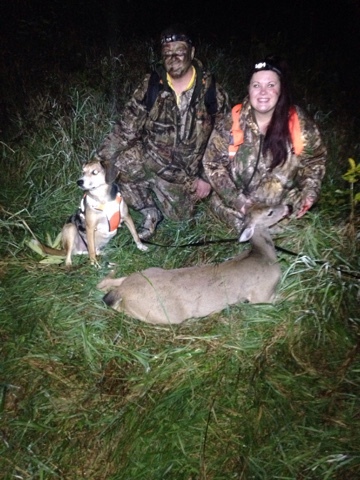 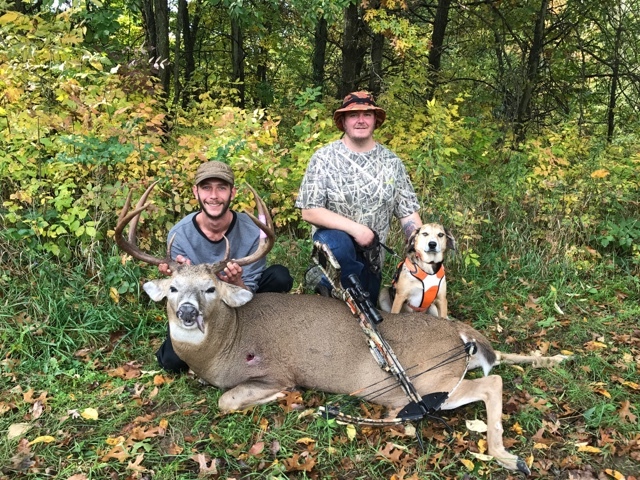 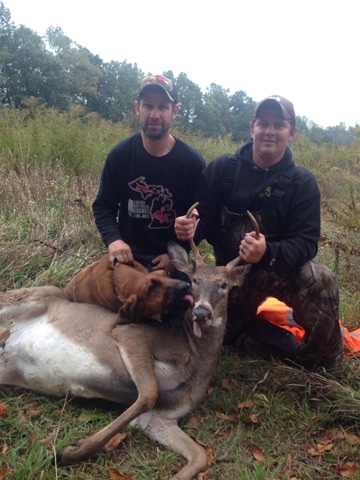 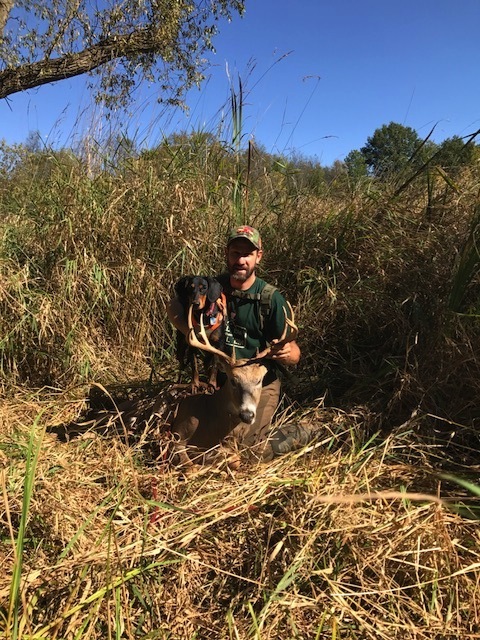 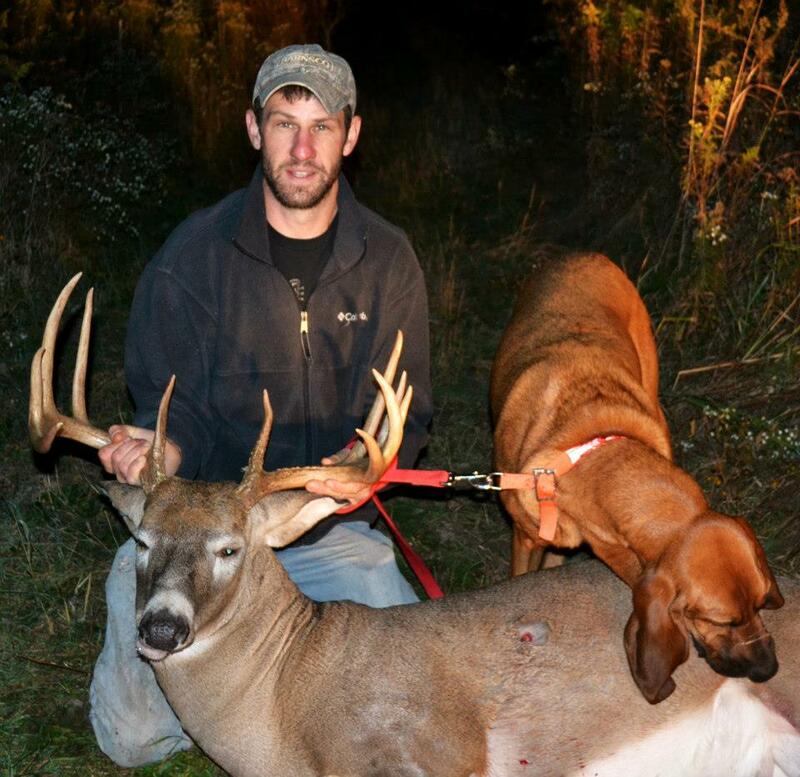 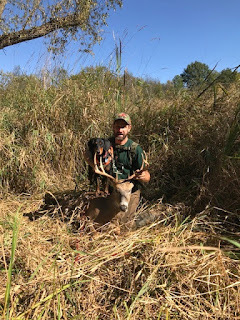 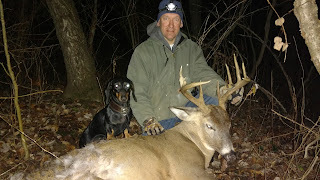 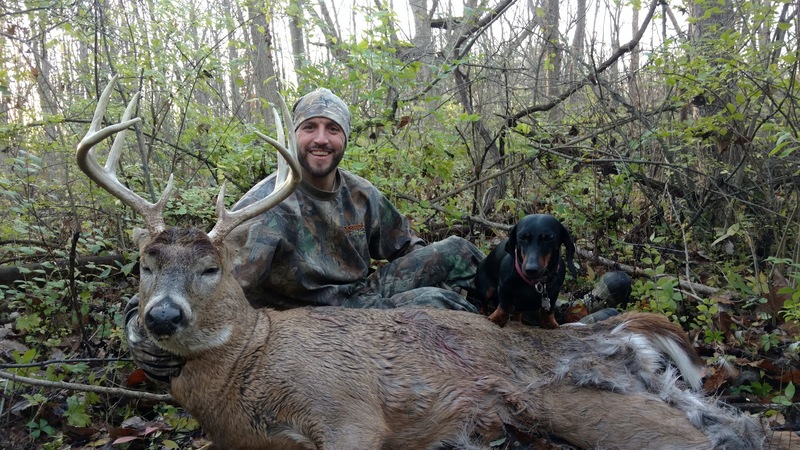 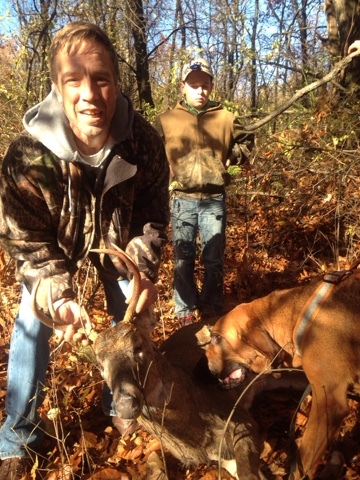 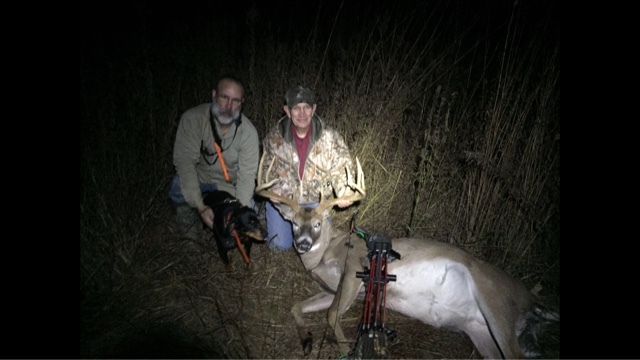 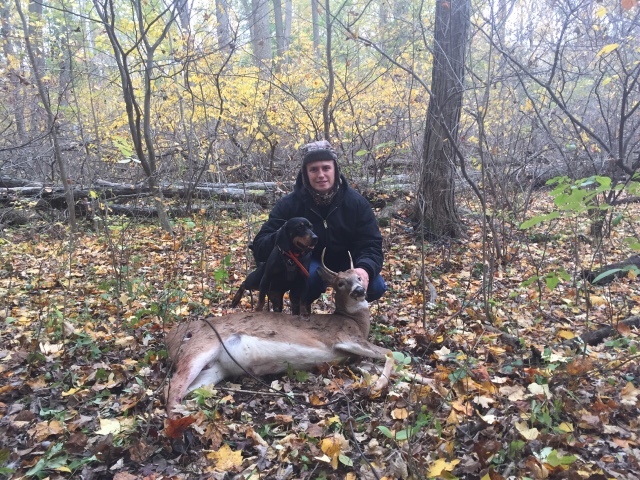 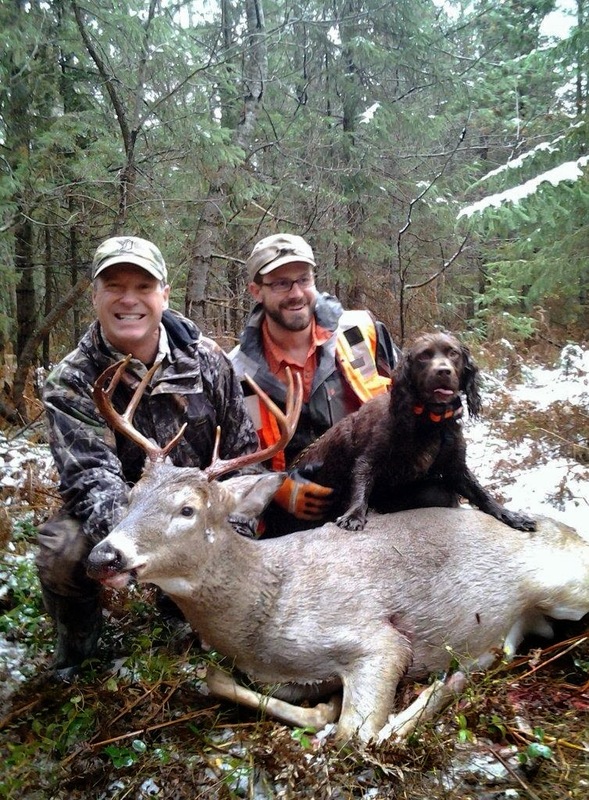 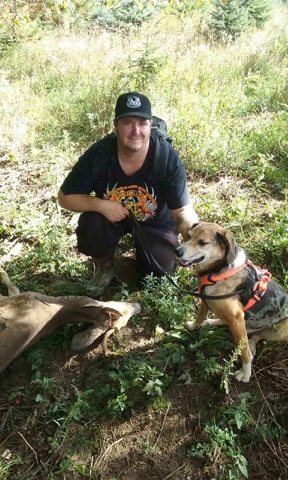 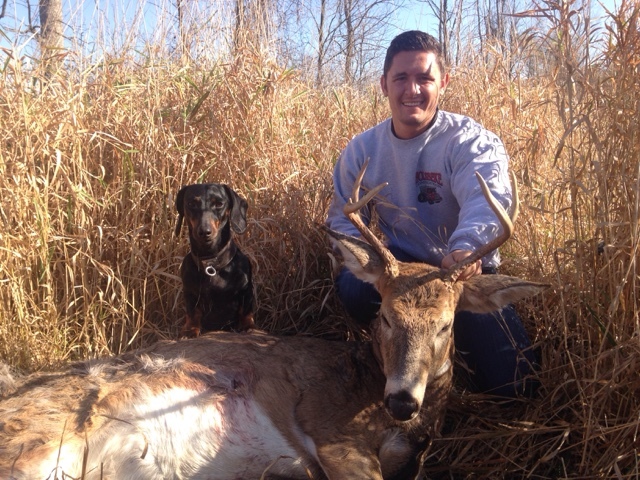 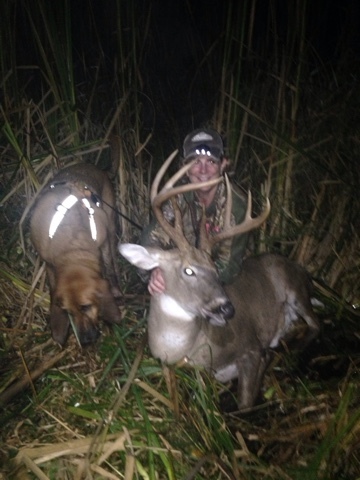 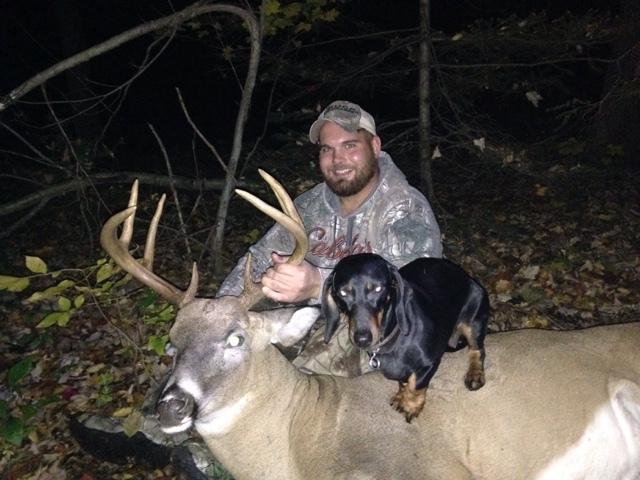 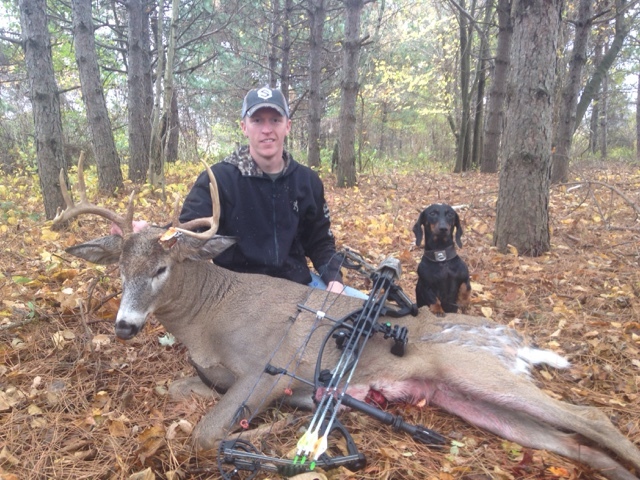 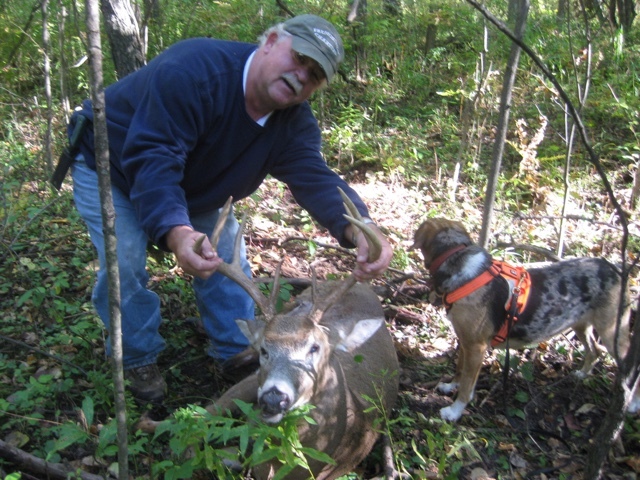 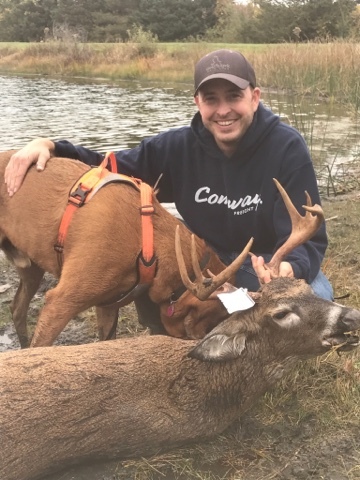 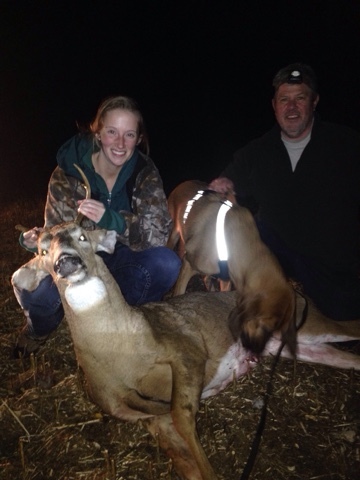 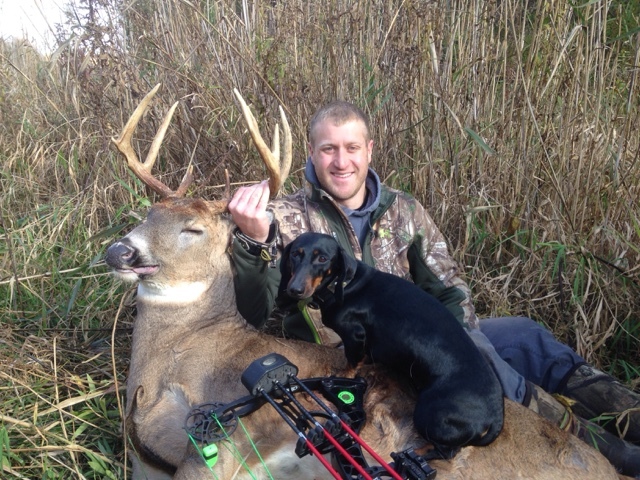 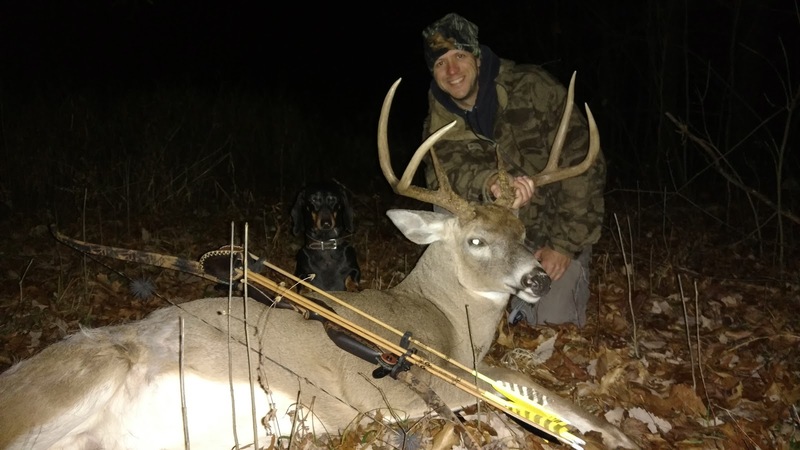 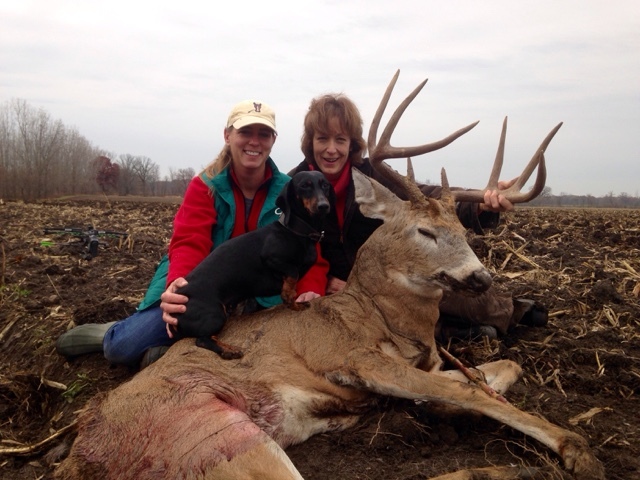 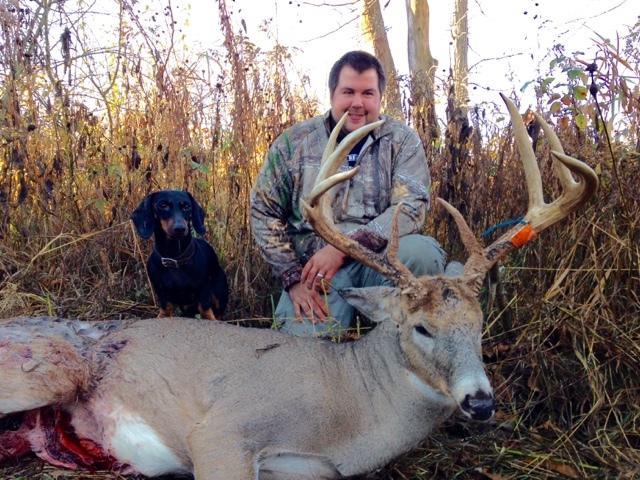 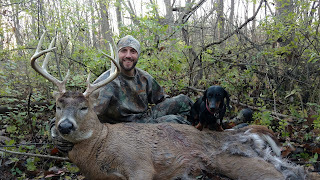 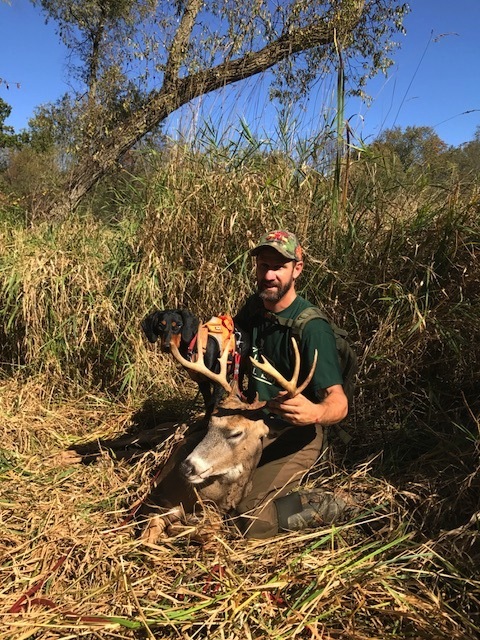 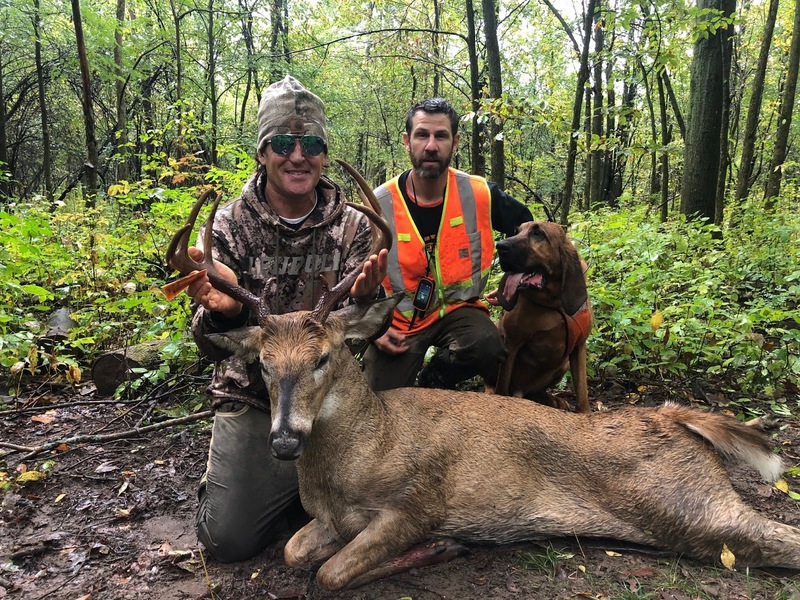 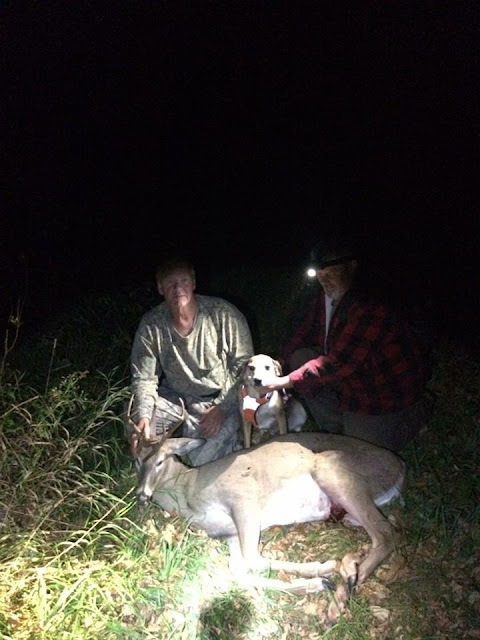 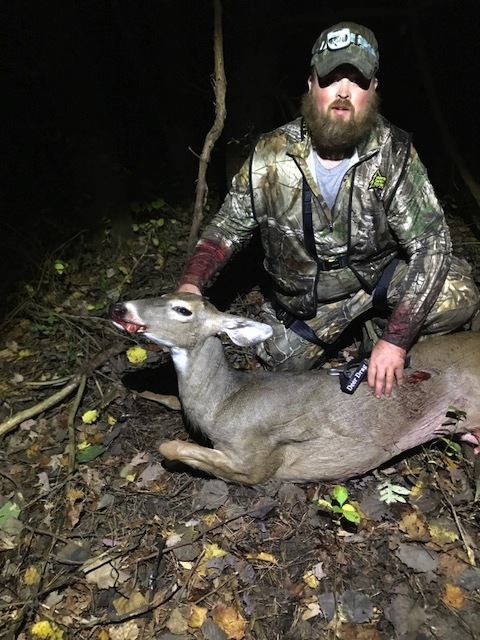 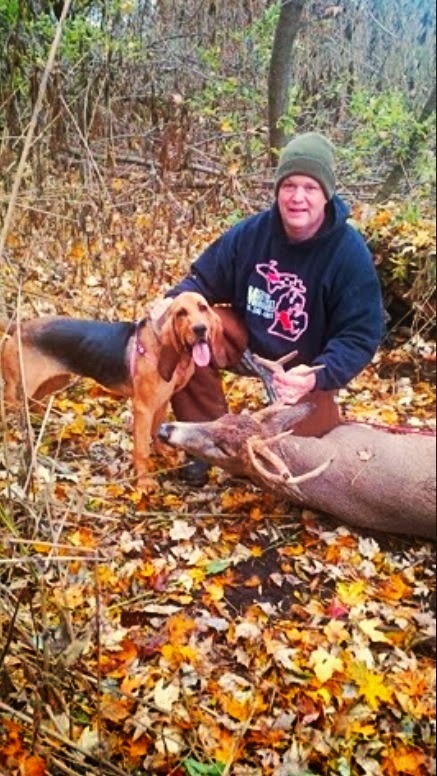 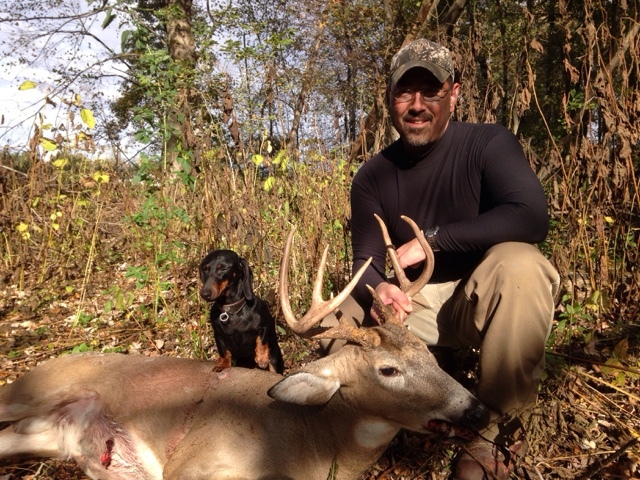 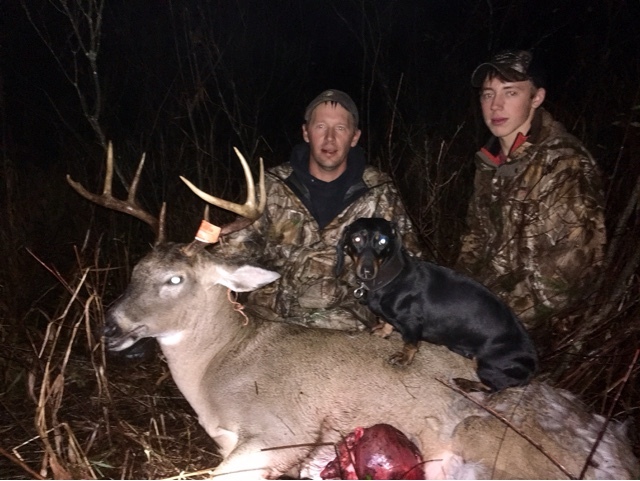 Michigan deer Track’n Hounds has spent years developing competent tracking dogs to assist with recovering your deer! check us out on Facebook to follow all of our adventures! 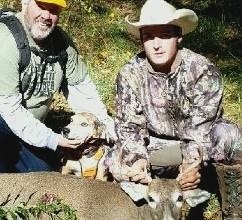 Congratulations Carter on your first buck. 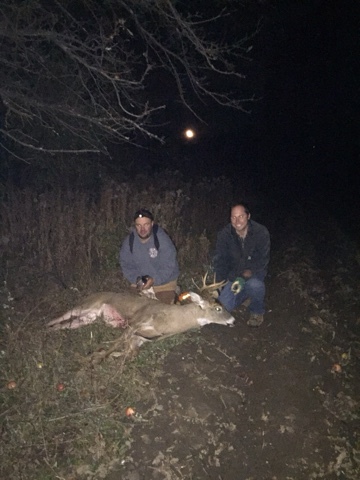 This was our first track and first recovery to kick off the 2016 season nothing better than the smiles!! 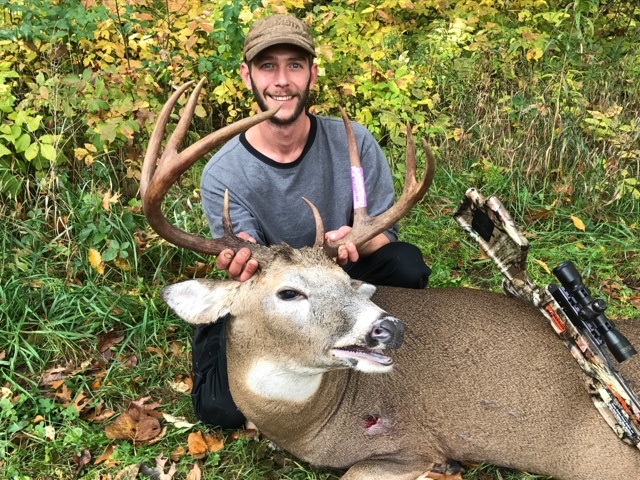 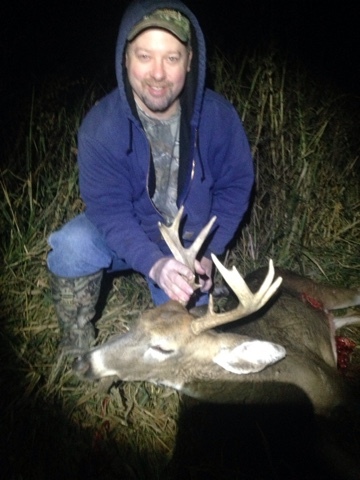 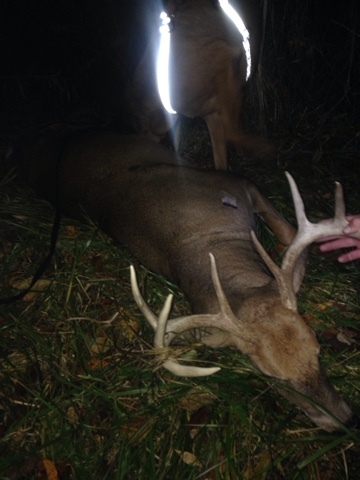 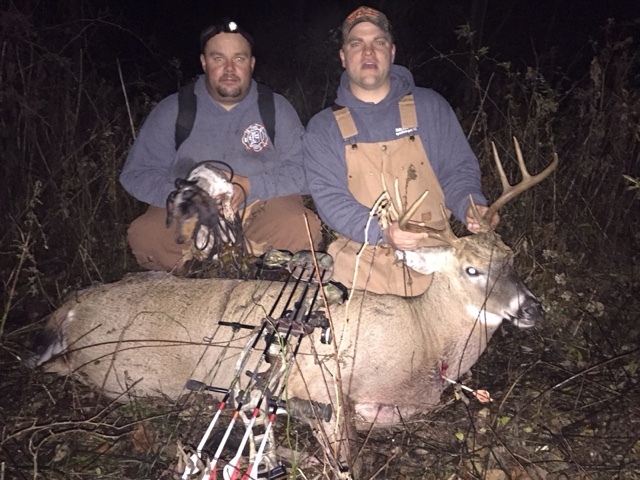 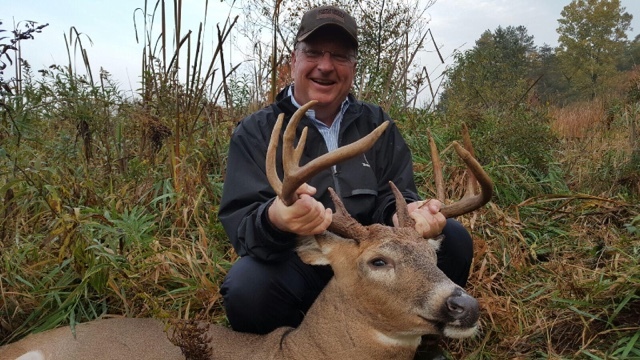 Sypris recovered a giant 10 point in Bowling green.